This is a pre-order. Expected ship date is May 21, 2019. 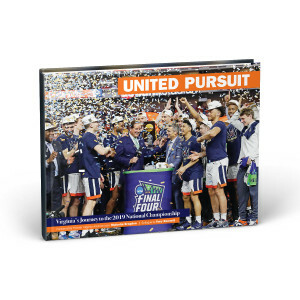 UNITED PURSUIT chronicles the Virginia Cavaliers incredible run to the 2019 National Championship and the school’s first Final Four appearance in 35 years, providing Hoo fans with an inside look at one of the greatest seasons in school history. After becoming the first #1 seed to lose to a #16 seed during the 2018 NCAA tournament, the Cavaliers were ridiculed from coast-to-coast by the college basketball pundits who routinely criticized UVA’s style of play. Heading into the 2018-19 season Coach Tony Bennett and his players decided the words, “United Pursuit,” would serve as the theme for the season as they attempted to reclaim their spot among the top basketball programs in the country. Mission accomplished. All the postseason heroics and regular-season highlights are captured within this 144-page, full-color tribute to the team, with feature articles, game stories and incredible photography from the award-winning University of Virginia athletic department. 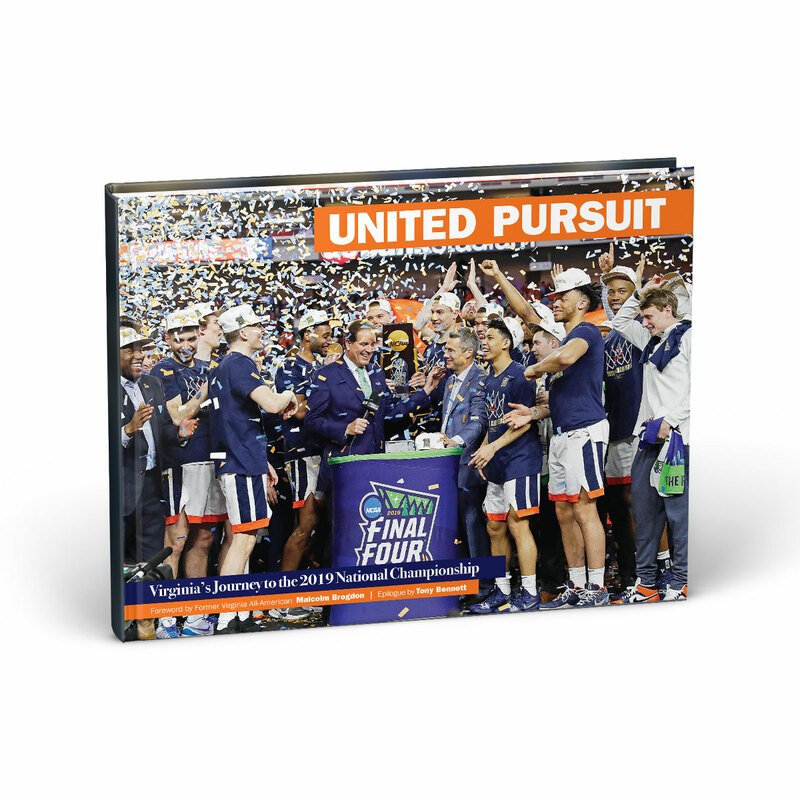 From Mamadi Diakite’s game saving shot against Purdue to the Final Four in Minneapolis, Virginia fans can relive every moment in this commemorative hardcover book that is sure to become a classic keepsake for every Cavs fan. Officially licensed and endorsed by the University of Virginia. Wa-hoo-wa! Please note - this item is available for pre-order and will ship on or around May 21 along with other items on your order. If you wish to receive other items sooner please place a separate order.